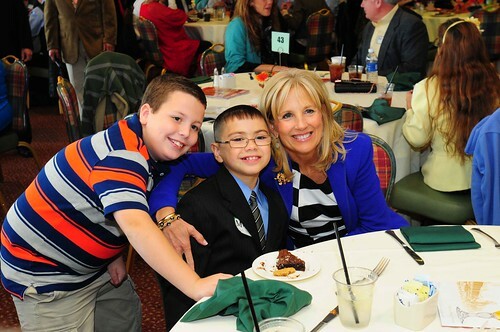 LOUISVILLE, Ky. – Dr. Jill Biden, wife of U.S. Vice President Joe Biden, Gen. Frank J Grass, Chief of the National Guard Bureau, Kentucky’s Adj. Gen., Maj. Gen. Edward Tonini and other general officers joined more than 600 friends and family members of fallen Service members during the 4th annual Survivor’s Day at the Races Nov. 3 at Churchill Downs in Louisville, Ky. 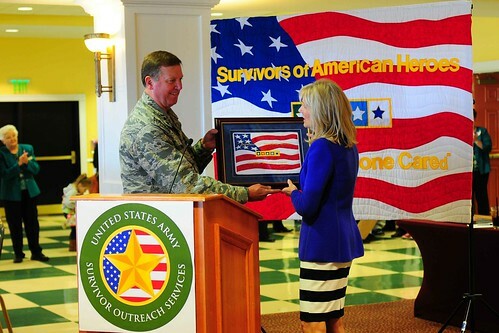 Annually, Kentucky’s Survivor Outreach Services, gather for the event to honor surviving family members of Service members who gave the ultimate sacrifice in defense of our nation. During the event, the survivors participated in different events such as face painting and craft projects provided by the Kentucky National Guard’s Family Programs. Survivors were also treated to a lunch and were able to watch the races from Millionaire’s Row, all provided by Humana Military Healthcare Services and Churchill Downs. The highlight of the day was a race named in honor of Survivors’ Outreach Services. “It’s an overwhelming experience to see their faces when they see the effort we put forth in order to show their not left behind,” said Linda Jones, Child and Youth Programs Coordinator and a Survivor of her son, Sgt. 1st Class Charles Jason Jones. 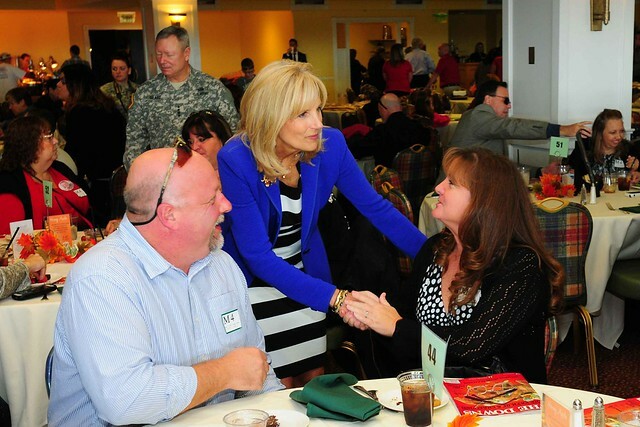 When the Second Lady heard of the event she got in touch with Gen. Grass and asked what she could do in order to help National Guard families. Biden is a mother of two Service members. One of her sons a member of the Deleware National Guard and the other is an officer in the U.S. Navy. Biden was in awe with all the stories of family members taking positive strides after a tragedy. While this event remembers those who have fallen and the families left behind, it was also a chance to support families of all Service members. Grass and Tonini both made their way around the bustling room with Biden, speaking with all who had words and stories to share. [Note: All photos can be viewed at the Kentucky National Guard’s flickr page, or click on each link below. Click here for more information about Survivors’ Outreach Services.